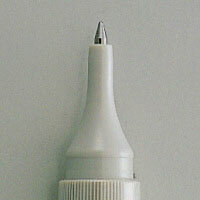 Water-based brush-type correction fluid. 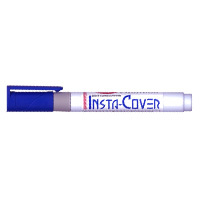 For warter-based marker, water-based ballpoint pen, fountain pen, PPC copy. Ideal for office use and cartooning. 10 pcs./inner box, 200 pcs./carton. 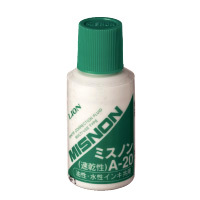 Oil-based brush-type correction fluid. For water- and oil-based ink such as Oil-based marker, ballpoint pen, Typewriter and PPC copy. 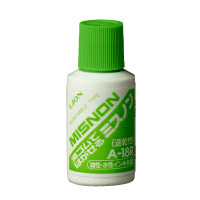 Quick-drying Oil-based brush-type correction fluid for water- and oil-based ink. Can remove applied fluid with erasers. Ideal for cartooning. 10 pcs./inner box/ 200 pcs./carton. Revolutionary 1.0mm ceramic ball tip produces a crisp, uniform, fine line. Assures you smooth, flawless cover-up and saves you fluid consumption. Simply squeeze barrel and gently press for a slim line or micro correction. The fluid in the pen will not dry out and it stays usuable until the last drop. Multi-purpose oil-based formula. 8ml contents. 600 pcs./carton. Keep tip up when not in use. 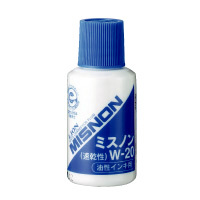 For removing fountain pen Blue-Black or Red ink and non-permanent felt tip marker ink. 10 boxes/inner box, 120 boxes/carton. Liquid 1: Hydrochloric acid (18ml/plastic bottle). Liquid 2: Hhypochlorous acid (18ml/plastic bottle). 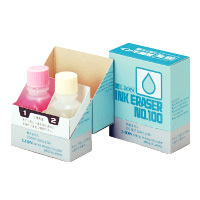 To erase blue, blue-black or black ink, apply Liquid 1 in the pink bottle first, then Liquid 2 in the transparent bottle. When erasing black ink, it may cause a slight light yellow discoloration. 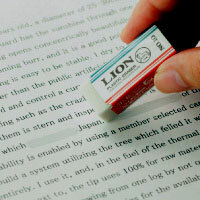 To erase red ink, apply Liquid 2 first, then Liquid 1. Cap firmly when not in use. Don't expose the bottles in a sunny place.